Extra Steam Power - Kerstin's "Magic Powerworld"
Servus and welcome to another ESP share today! And this one is a special pleasure for me to announce as it is not only about the project but also my friend Kerstin's being published in the "Just Steampunk" magazine! Now isn't that just awesome, fantastic and soooo deserved?!! 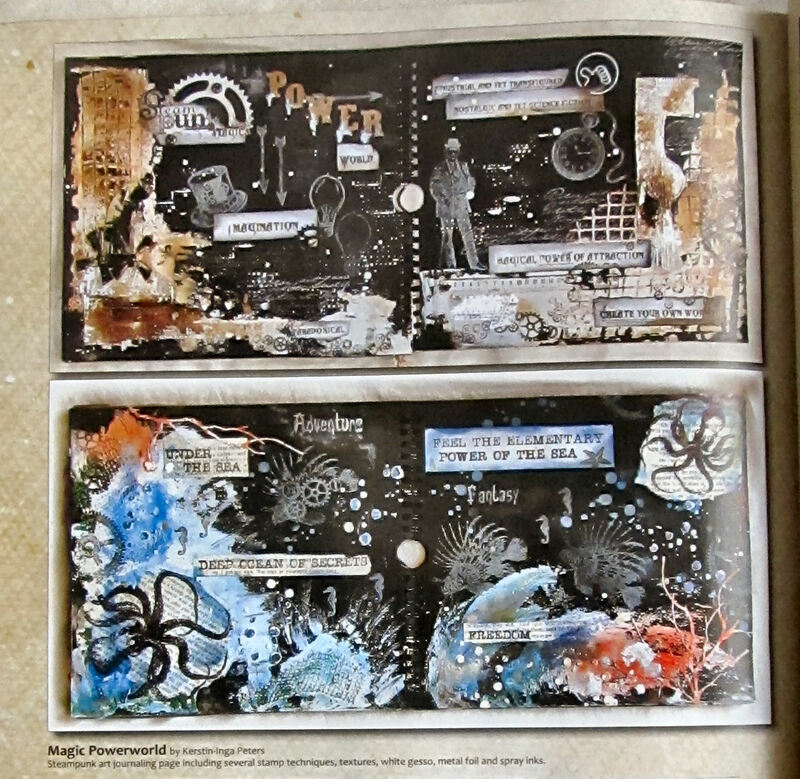 I always find the detail and story-telling quality of Kerstin's projects utterly enchanting and amazing! Each time looking at her steampunk (and other art journal or scrapbook) projects feels like opening up a new page to a new story! 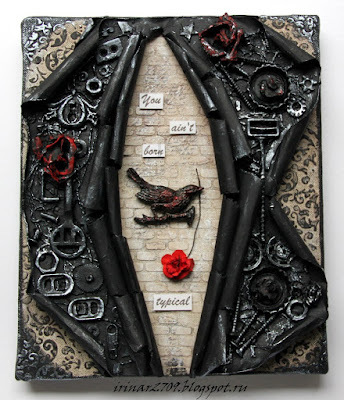 Only few artists have this talent to tell stories with their makes and create drama or magic like Kerstin does so beautifully...so I hope you will take some time to take a close look at her beautiful pages...and leave our place inspired and ready to enjoy some steampunk crafting over the weekend! 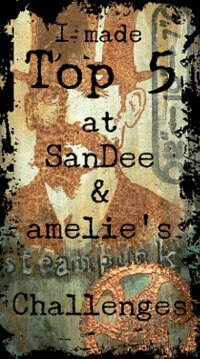 and yes :-) it was published in Just Steampunk!! I'm so happy, proud and thankful!! 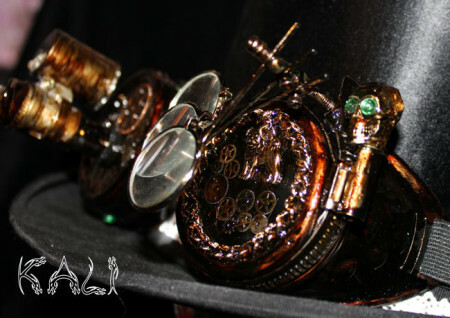 what makes Steampunk so very special and exciting to me. if you have any questions how I do this , then please ask me! Be inspired by this paradox and magical world too! Also make sure you check out our actual challenge and the prize pack that can be won! There is still time until the end of the month to enter a project! 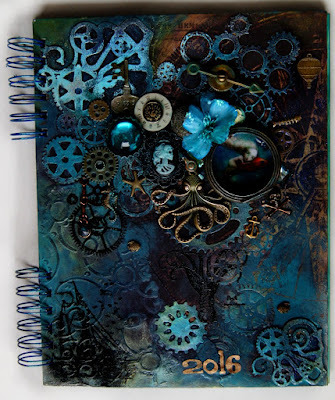 With the start of the new year we have decided to not narrow down your steampunk and industrial creativity by any themes so you can enter our challenges more easily and just "follow your where your steampunk mixed media hearts go". 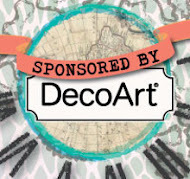 We also have said our huge THANKS and farewells to all of our fab 2015 sponsors and welcomed our new and only sponsor from now on: DecoArt Media! Yay! 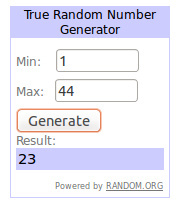 They generously offered that I put together a small "Steampunk Starter Pack" (as I call it) to give away each month to one randomly drawn winner (chosen among all proper entries). Now isn't that great news?! Welcome and thank you so much, DecoArt, for being with us! This really means a lot to me and my team! 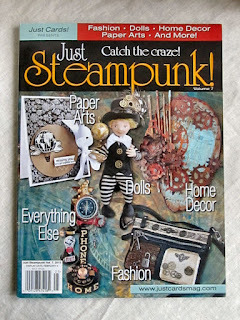 And this is the prize bundle I have chosen - most of the products are my personal go-to media from their range and I love to create highly textural and colourful industrial and steampunk projects with them! I hope you will love them too! 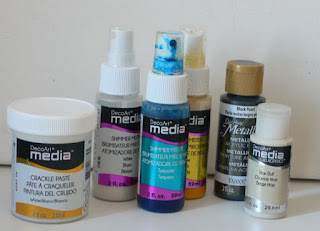 I am showcasing many DecoArt Media products but the real kicker is an Andy Skinner technique. Not only does DecoArt have awesome products, but they give you a tutorial about using the products as well. More info about this tutorial can be found on my blog. Carpe Diem! win our Amazing Deco Art goodie's. I have used Deco Art Media to create all these different effects. 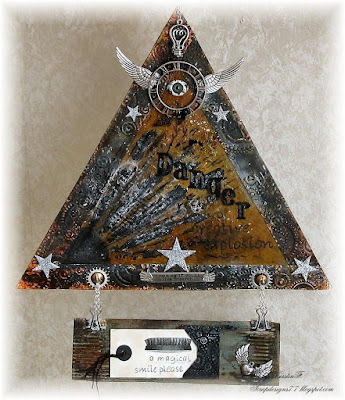 I am showcasing some of my favourite go-to mediums from DecoArt's wonderful and wide range of mixed media with this "urban fairy" steampunk panel. Check by my blog and the blogs of my teamies to learn more about all the media used and the how-to! If you haven't checked out the projects of team A, I highly recommend you do by clicking HERE. Hello, servus and welcome back to today's announcement of our Top 5 and prize winners from our Steampunk/Industrial Winter Special Challenge! 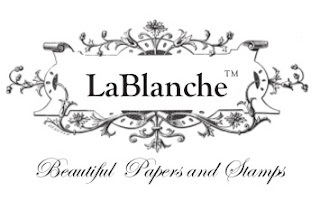 We had - once more - an awesome bunch of amazing entries and we want to say a special "Thanks!" to all who took the time inbetween Christmas preparations to play along and share their fantastic steampunk and industrial art with us! 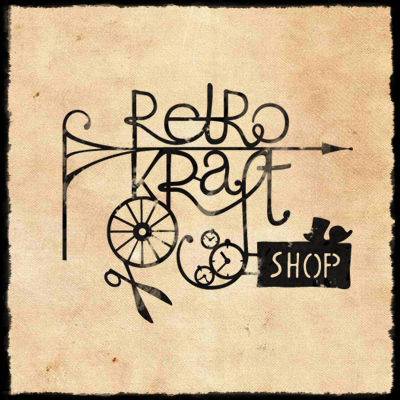 which are Wendy from Wendy's Art and Craft Journal, who wins a voucher to shop with LaBlanche, and Senna from "be creative", who wins the Retro Kraft Shop voucher. 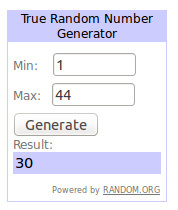 Congratulations, ladies, and thank you so much for playing along. Please, contact me via email (email address is to be found in our side bar) so we can have your voucher codes be sent to you as soon as possible! Happy shopping! And now on to our Top5 who were - as always - really hard to narrow down. But votes were done and a lot were really close up, but these five talented ladies made it to our top this time - so, please, give them a great round of applause! Well done, ladies! We hope you will be playing along with us again soon! Please, feel free to grab the Top5 badge for display on your blogs. 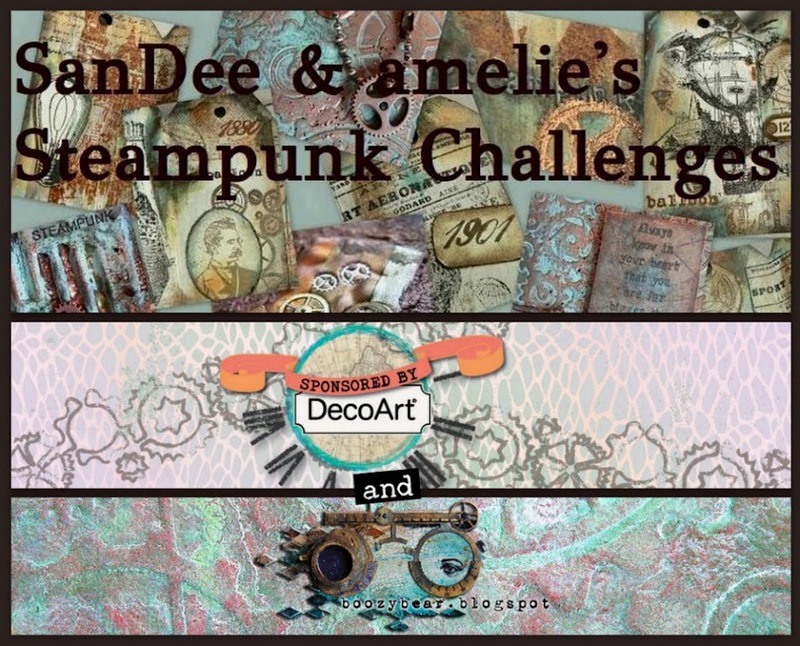 Our actual challenge, which is an "Anything Goes - Steampunk/Industrial" (as will be all our challenges from now on), is already open and awaits your mixed media, stamped, drawn, painted, crafted steampunk and industrial style entries! 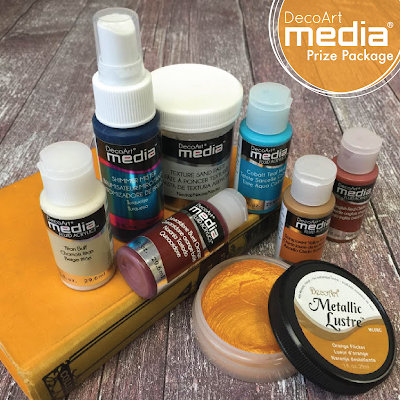 Don't miss the chance to win the fab DecoArt Media prize pack that the lovely DecoArt ladies and I have put together for you!!! There is still time until the end of the month to enter up to three projects to our challenge and thus get eligible! (please, make sure you check the (few) rules though so your entries are valid). Also make sure you come back to check out the makes of Team B on January 15th! New Year, New Challenge, New Ways, New Sponsor! Happy 2016!!! "Out with the old, in with the new: may you be happy the whole year through. Happy New Year!" as we love to wish each other here in Vienna! The SASPC team and I hope you have all had the most wonderful Christmas holidays and New Year's celebrations and wish you all the best for 2016! We also wish Laura from Laurart, who is leaving the team (gladly for good reasons only! ), all the best for her future creative endeavours and want to say "thank you for being with us and sharing your awesome Steampunk art! Working alongside you has been a great pleasure and we hope you won't stop creating steampunk art in the future!" 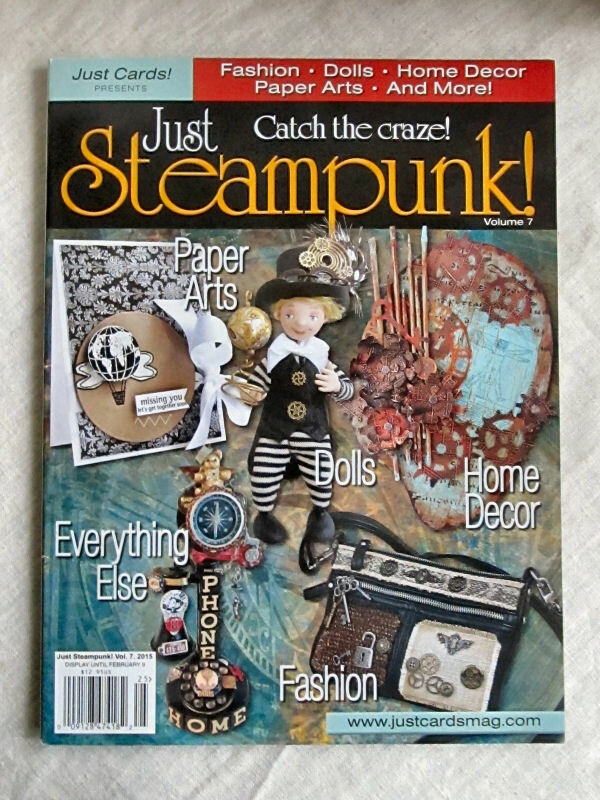 who will be giving away a small steampunk prize package filled with some of their fantastic DecoArt Media goodness to one of our players (who will be picked randomly among the proper entries) every month! Isn't that fantastic?! 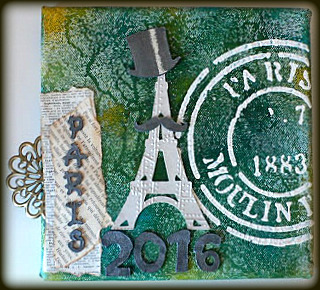 2016 will be so grand (thanks to the lovely ladies from DecoArt saying "yes" to my sponsor request)! Yessss! Thank you so much for being with us!! The prize bundle has been chosen by humble me (as you might already have guessed by looking at the colour tones) and I hope you like what I have put together for you: it should be a great little bundle of DecoArt Media to get you started on creating various rust and metal effects, worn surfaces and delicious bling as well. To introduce our new sponsor's fabulous mixed media range accordingly, the DT are all shining a little spotlight on one particular product of their choice. So I recommend you visit their blogs to learn more about them (and the other DecoArt products they have used with their projects)! 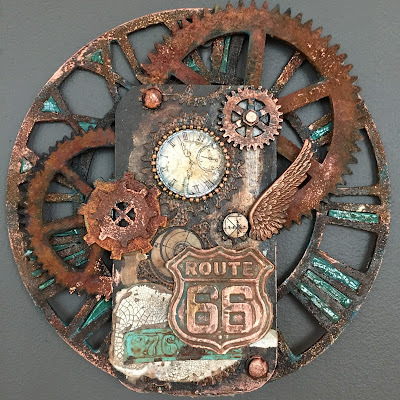 Without your creativity being narrowed down by a theme or twist we hope to provide you with everything you need to let your imagination run wild and find YOUR way of creating steampunk and/or industrial mixed media art and share it with all of us! Of course there are still some rules to follow...but only a few - so if you haven't checked them by now I would ask you to do so to make sure you enter a proper project and post to our challenges (as it would be a shame if we had to exclude someone from prize draws or top votes)! And now - finally - to the projects of Team A. Here we go! Vous découvrirais tous les moindres détails sur mon blog le scrap de nate de cette boite à musique qui diffuse une douce mélodie de part son mécanisme . I made calendar cover with nautical steampunk mood. I used several DecoArt products, but most beloved and preferred were here metallic lustre paints. 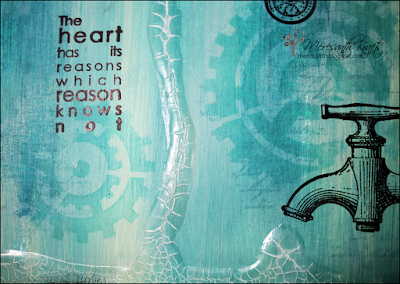 Crackle water effect, anyone? 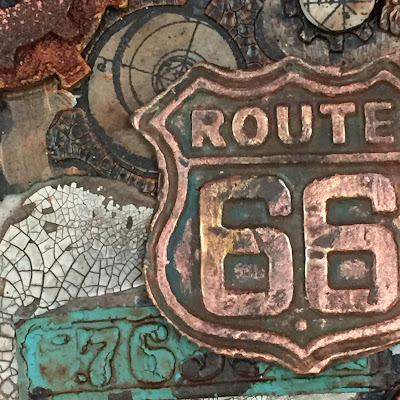 :) Here's a little sneak peak of what you can achieve with a little DecoArt Crackle Glaze and white Antiquing Medium. 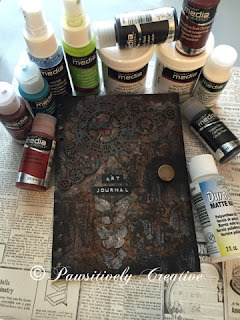 Check out the whole art journal page and more on the technique on my blog. This is a printed photo, and I have used DecoArt media Fluid Acrylics Raw Umber and Quinacridone Gold with Matte Medium to make it look aged and very old. See how do it and more details on my blog. Our challenge will (as usual) be open until the end of the month and our Top5 and prize winner will be announced about a week after the challenge has closed. There will be more inspiration from Team B on the 15th of the month - so make sure you don't miss it! 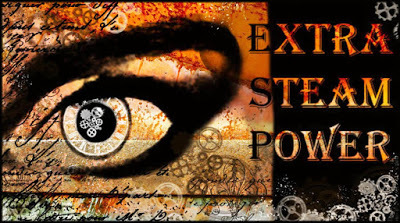 We also have a facebook group where we all share steampunk related art, questions, inspiration and thoughts - "SASPC Open Studio" - which I would like to invite you to join. 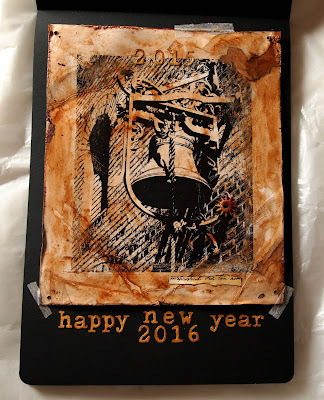 We can't wait to see the steampunk projects with which you will be starting off the new year!! !